Bold, bright and modern quilts for cots are only a click away! Specialising in charming handmade quilts and accessories, Alphabet Monkey know how to rock a patchwork quilt or two. At Alphabet Monkey quilts are modern using on-trend colour combinations and cool print fabrics with simple, no fuss appliqué – allowing patchwork to fit seamlessly into any modern space. 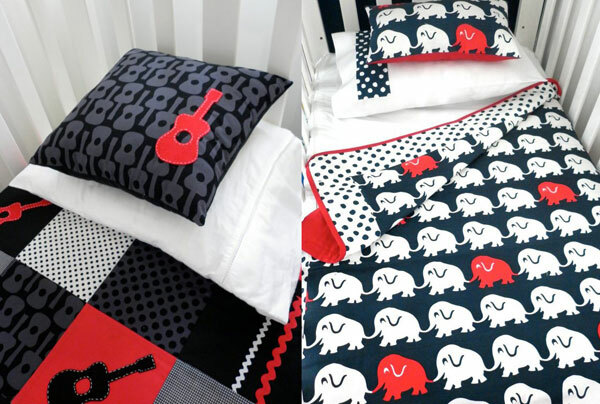 There’s something for everyone at Alphabet Monkey – quilts are fabulous in bold black and red such as the Guitar Crib Quilt ($160) while animal lovers will adore the modern navy and white Elephant Walk Quilt and Pillow set ($115). 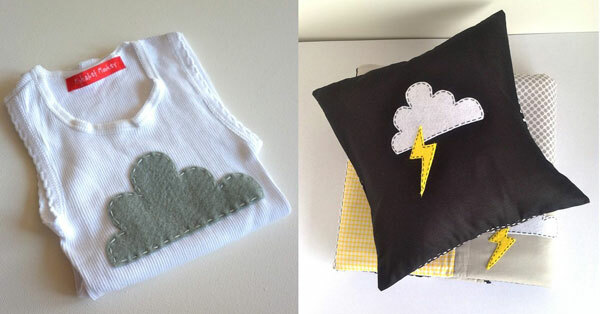 My favourite is the Storm Cloud range in awesome grey and yellow with felt cloud and lightning appliqué accents. 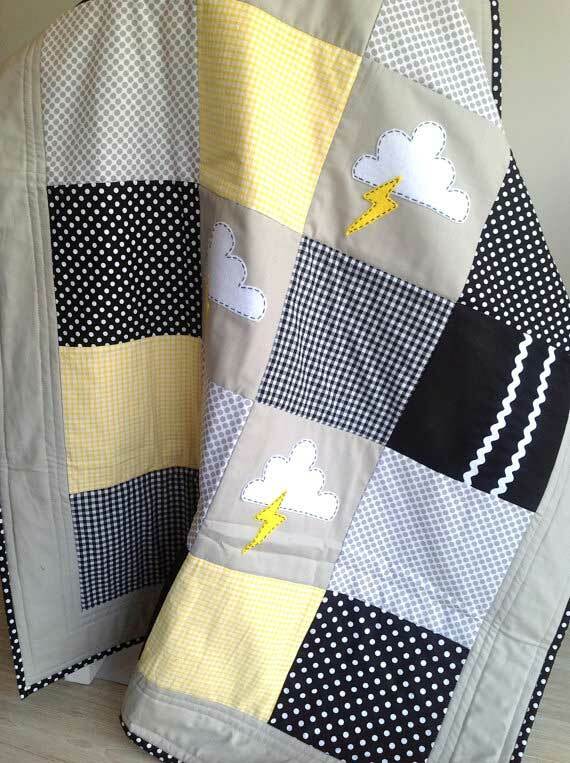 The crib quilt is $160 and there’s even a coordinating Storm Cloud cushion ($25) and Cloud Tank Top ($12). Choices are bountiful with surfboards, whales, clouds, superheroes and even skulls made available for quits and cushions. Note that some items are ready to ship, others are made to order so please check the listing for the individual item at Alphabet Monkey.